Posted on April 4, 2018, 3:22 am, by jfriedman, under MeToo, The New Criterion. Between June 2014 and April 2015, Dave Hickey posted almost 3,000 digital comments on social media, prompting nearly 700,000 words in response from art lovers, acolytes, and skeptics. Wasted Words is an unedited comprehensive transcript of these exchanges. This polyphonic digital discourse reveals the range of Hickey’s strong opinions, as he embarks on a crypto-enlightenment project for the benefit of "dunces" and "pricks." Dustbunnies is an assemblage of “swept up” fragments that came from a vast digital discourse that took place in Dave Hickey’s social media space between June 2014 and March 2015. During that time Hickey posted almost 3,000 comments, prompting nearly 700,000 words in response from art lovers, acolytes and skeptics. Wasted Words, the resulting volume, is an unedited comprehensive transcript of these exchanges. Its pendant publication, Dustbunnies, distills Hickey’s richly aphoristic comments, extracted from various discussion threads. Edited by Catriona McLeod, Véronique Plesch and Charlotte Schoell-Glass. 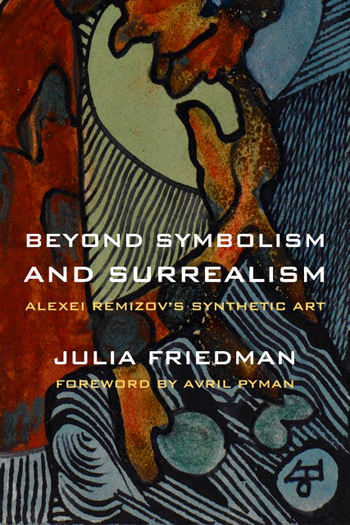 “Alexei Remizov’s Creative Act,” by Julia Friedman. Edited by Maurice Geracht and Frédéric Ogée. JuliaFriedman.com and Contemporary Art Tokyo Copyright © 2011 Julia Friedman. All Rights Reserved.